Recent Update: Utkal University 1st Year B.A B.Sc B.Com Results 2015 Declared. All the students are notified that the Utkal University has declared their B.A B.Sc B.Com Courses Examination Results 2015.The Utkal University recently conducted UG Courses Year Wise Written Exams.A huge number of candidates from Odisha state attended these written UG exams.The exams were successfully conducted and now after the conduct of exams, the university is announcing their Utkal University BA BSc BCom 1st Year Result 2015.Those candidates who are willing to check their Utkal University B.A B.Sc B.Com First Year Result please check below given links. 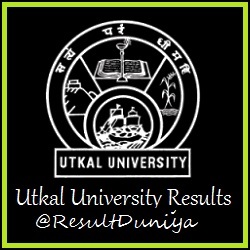 Utkal University UG Result 2015 Declared by DDCEUTKAL.The results has been uploaded on their official exam web portal www.ddceutkal.ac.in .Candidates can check the results roll number wise by simply entering the candidate roll number in the given results box. Candidates can check their marks online by visiting below links. Please refer below given steps on checking DDCEUTKAL Results. 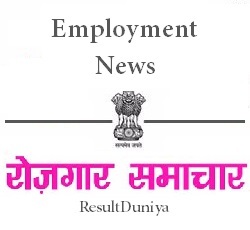 * To check Utkal University UG Exam Results 2015 first of all visit the below given link. * Now goto Provisional Results section. * Now expand Under Graduate program. * Proceed to "Online Provisional Result First Year BA B.Com B.Sc Regular Exam 2015". * Then enter the security captcha. * To download Utkal University 1st Year B.A B.Sc B.Com Results 2015 please save that page. All the candidates are requested to bookmark our website.If you have any problem regarding downloading or checking Utkal University UG Provisional Results 2014-15 then please contact our website admin or you can simply leave a comment below.